Thanks God nothing happened to us today. We left our lodging at 8am so we could budget for any unforeseen delays on the road. There were about 10 cars that passed in the first 3 hours of riding. 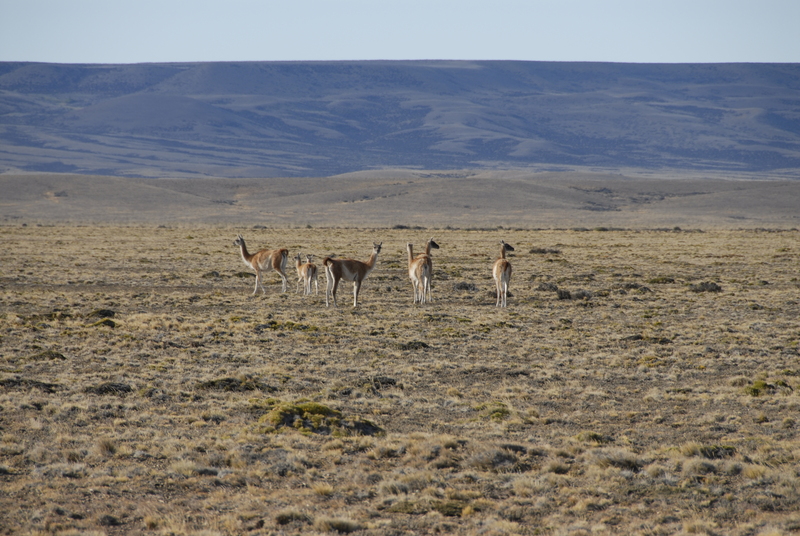 We saw many hares, guanacos (lama family), and rheas (ostrich looking birds). Gintaras was going very slow after his accident yesterday. The winds were very strong. Vadim was blown off the road into deep gravel and almost lost control of his bike but he managed to get out without falling. We fought the wind all day and our necks hurt as a result. This is not even a joke how strong the winds are and what it can do even to our heavy bikes. Upon arrival to the hotel, Vadim asked the hotel owner where he could wash his bike. Vadim’s bike was all covered in soft asphalt after he rode on fresh asphalt for 200 meters. One of hotel owner’s friends cleaned his bike for 300 pesos (equivalent of $75), which is very expensive according to local standards. But it was worth the price. 3 hours of washing Vadim’s bike with gasoline removed 3 kg (6 lbs) of asphalt. Vadim personally washed his boots, lower portion of his pants and top bag with gas to remove the sticky asphalt grease that was getting everywhere. The whole effort paid off as 90% of the asphalt was removed. 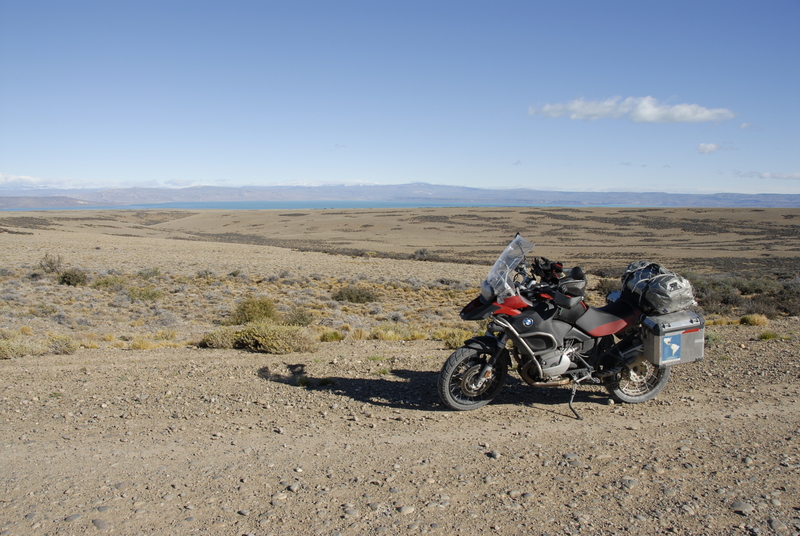 We hope another 10% will come off after a hot wash in Punta Arenas this week. It is cold in Patagonia now. We don’t think we quite expected this harsh climate. Vadim had to purchase a new jacket (which could be used under his motorcycle jacket when riding as well), a hat and a scarf from Columbia Sportswear. These items were not cheap as they are imports but the quality and utility seems to be nice.